The way people talk, and their interest is vastly different. Even if you end up in the field you went to college to major in, there will still be a lot of things you need to manage. There are a few things you can do to navigate this change. Most fresh graduates want to conquer the world. And truth be told, it is really not a wrong attitude. While it is good to have a huge ambition, you need to moderate it. 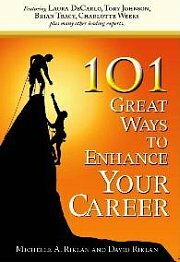 You need to know that your career path can easily be a 30 year journey or more. There will be lots of changes to navigate. So, how do you navigate change from a ambitious fresh grad into a working world adult ready to take on the world? Well, in small steps. Take it a day at a time. The cumulation of your efforts is what will show results later. It’s not a game where you score the winning goal everyday, in every game. This is a marathon where you put one foot in front of the other and soon you race to the finish line. I am not asking you to give up on your big dreams. But Big dreams are an accumulation of small dreams come through. Dream about getting that small project completed the best possible way. Dream about impressing your immediate boss before you fantasize about impressing the CEO. It’s OK to have small dreams. Small dreams give you confidence. Small dreams give you the fertilizer to grow big dreams. That’s how you navigate change from college to career. Small steps and small dreams must be balanced with big belief. Don’t start out your career with no belief. You must at least believe in yourself. Have a set of principles that will guide you. These are your light houses. They guide you home. They help you make decisions when changes in life make it difficult to see. Believe that you can achieve big dreams with small steps. Believe that there are no short cuts and every experience adds to your piggy bank of life. And these are for your withdrawal later. They are currencies you can use to leapfrog others who do not know how to navigate change. Contrary to popular belief, it’s not a cold cruel world out there. By and large, you will meet people who are willing to help and guide you. To navigate change, learn to be nice and polite. Stuff your parents and teachers taught you and you will be fine. For more articles related to how to navigate change, click here.